While on patrol, your day will start with a 8am briefing and then you are off to your assigned route to prepare for guests' arrival. This include checking for boundary signs, inspecting the terrain parks and checking for obstacle debris. 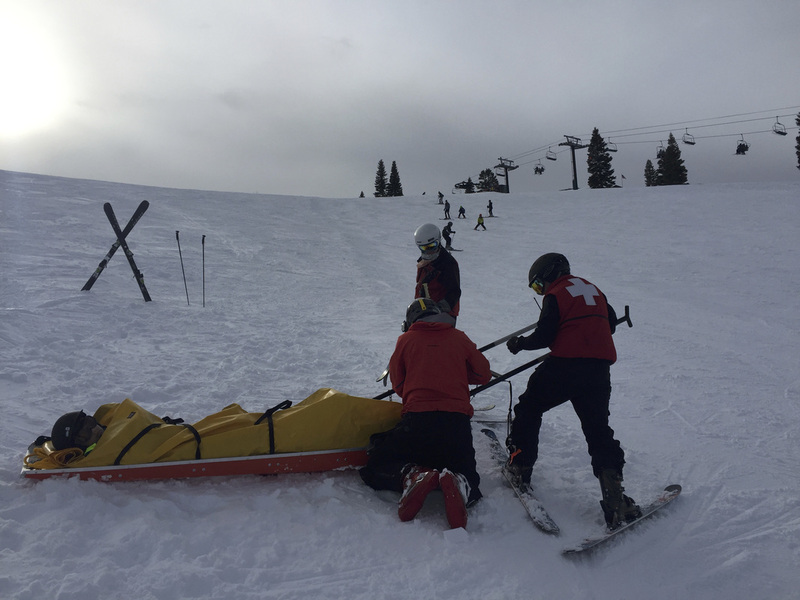 When a guest is injured on the mountain you are responsible to provide basic assessment, communications with emergency services, and safe transport. As a ski patroller you represent the community of volunteers who dedicate their lives for the safety of the sport. Interaction and education with the general public is an integral part of your duty. Sharpening the saw is always a top priority. You will spend considerable time refining your skills and practicing with various rescue equipment. 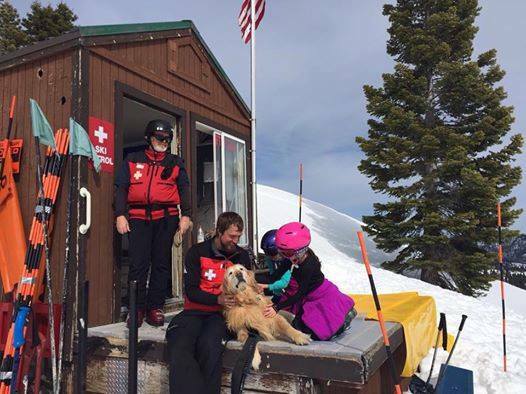 ​Closing the mountain with Tucker the patrol dog. If I were stuck in a tree well I'd be so happy to hear his bark!